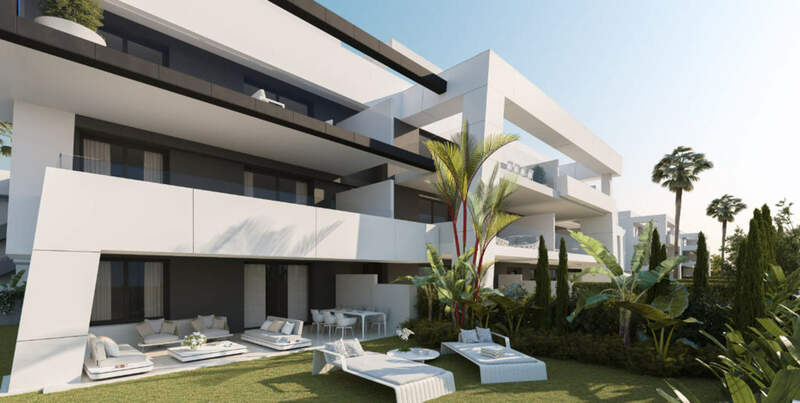 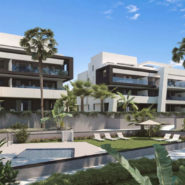 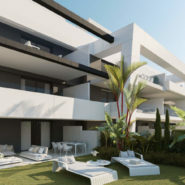 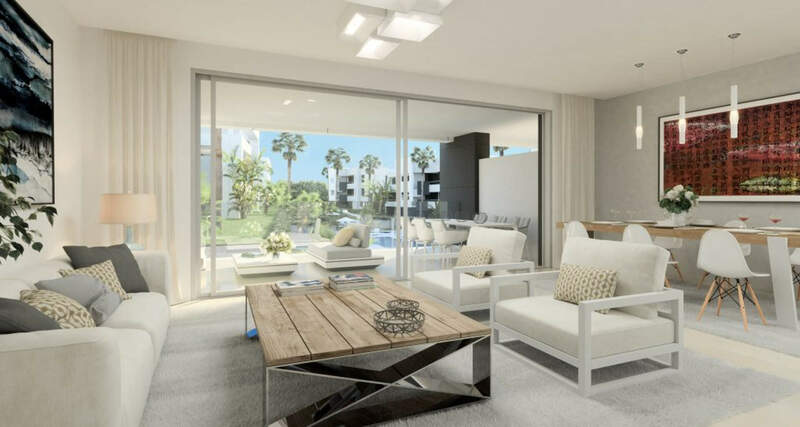 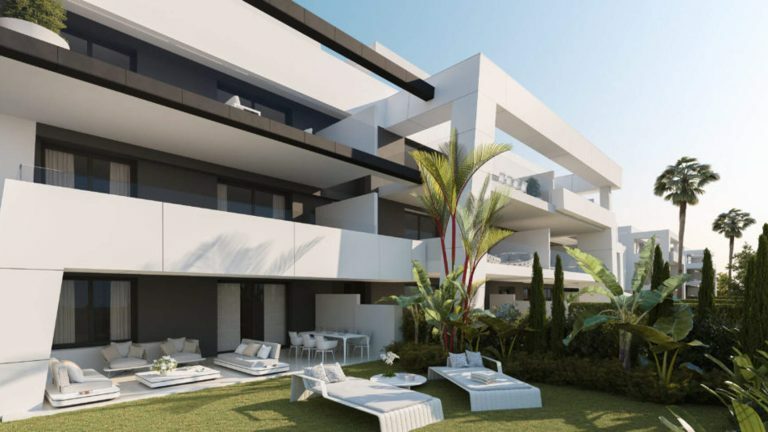 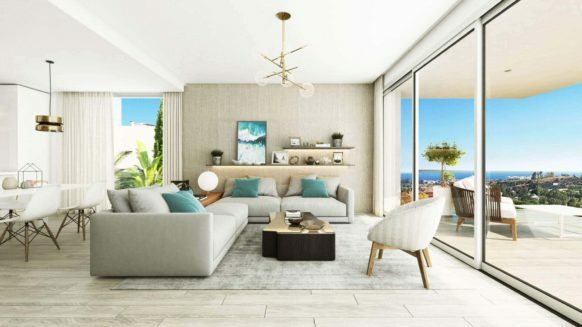 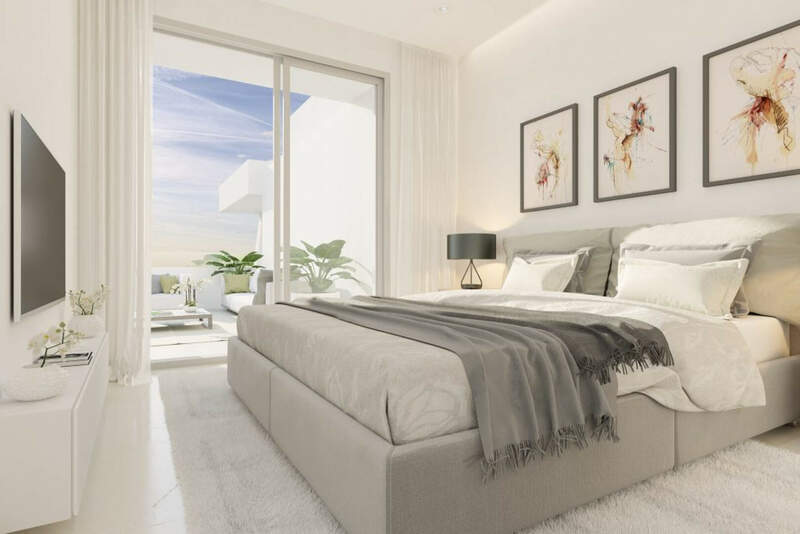 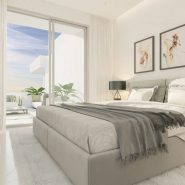 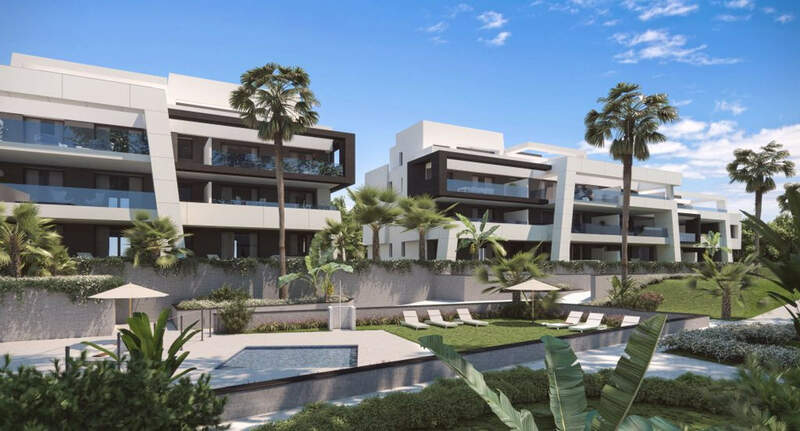 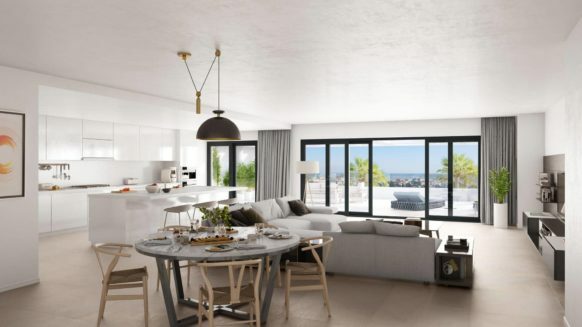 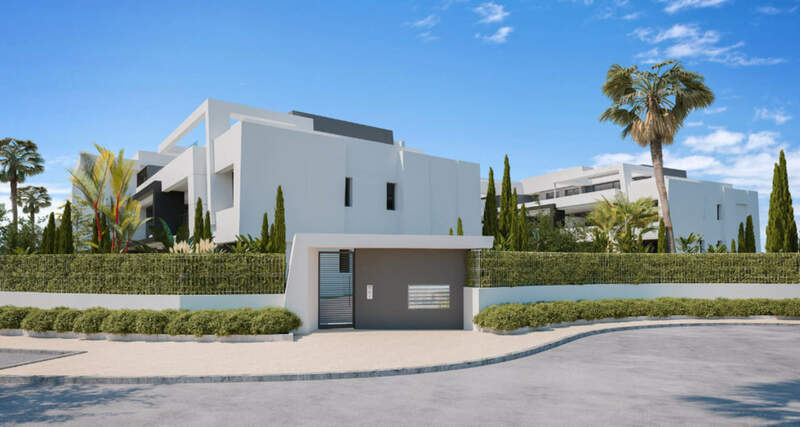 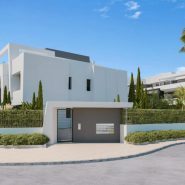 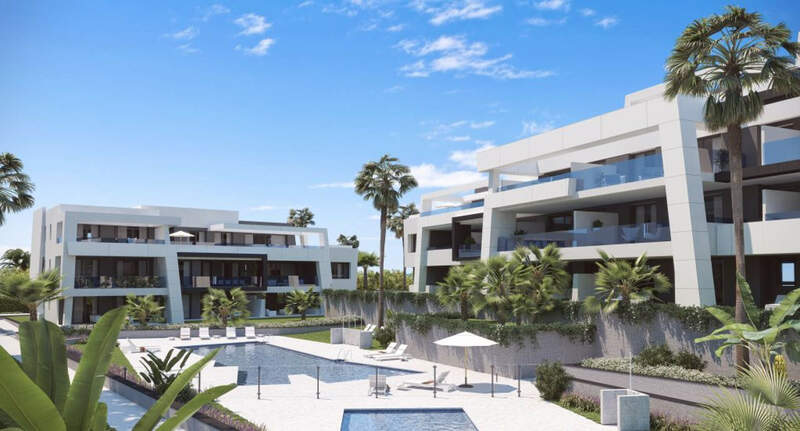 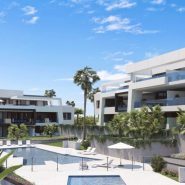 The apartments feature open plan kitchens integrated into the main living area with high ceiling window doors opening on to the spacious terrace, with beautiful views over the landscaped gardens and mountains. 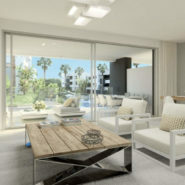 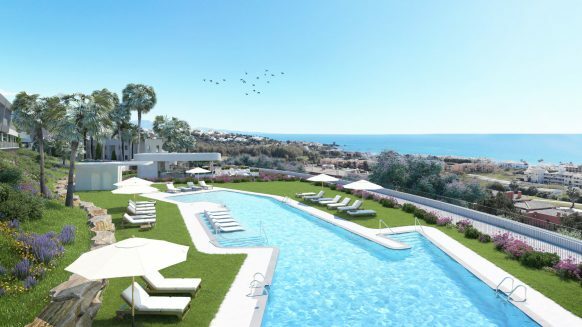 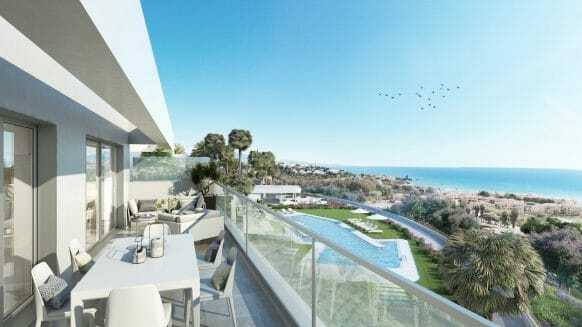 Some apartments enjoy panoramic views of the Mediterranean Sea with an African background, let me tell you which ones. 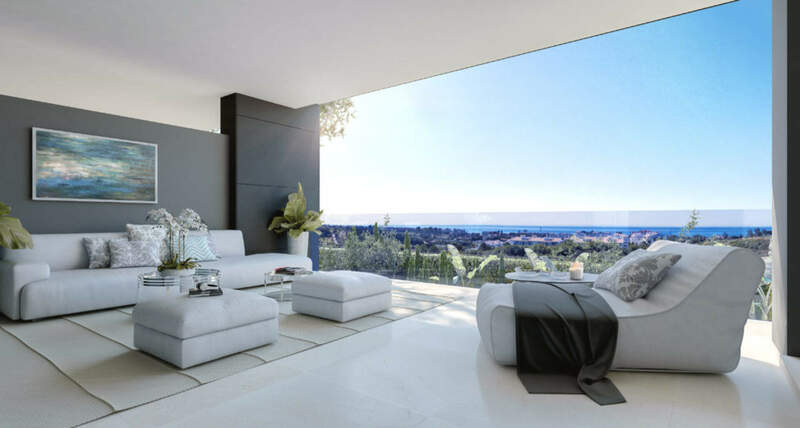 Penthouses have large terraces and solariums.